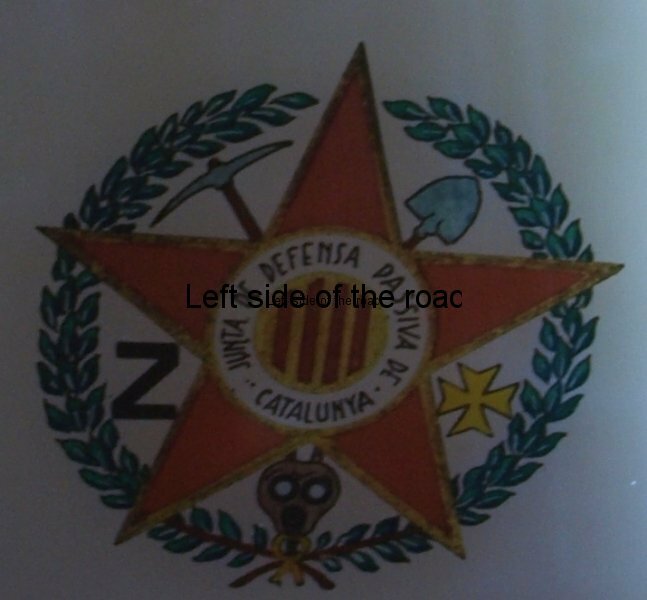 Where the Spanish Civil War is still eveident in Catalonia. 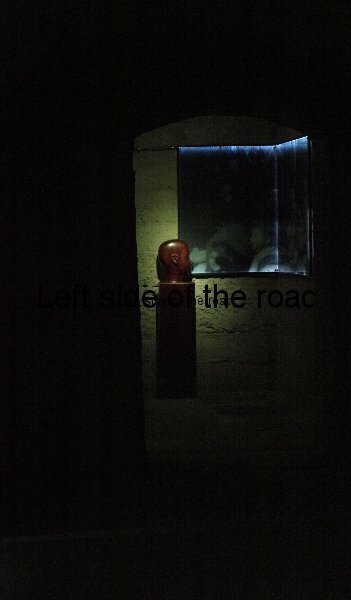 Refugi 307 (an air-raid shelter during the Spanish Civil War, 1936-39) is one of the few existing shelters from that conflict which it’s possible to visit. 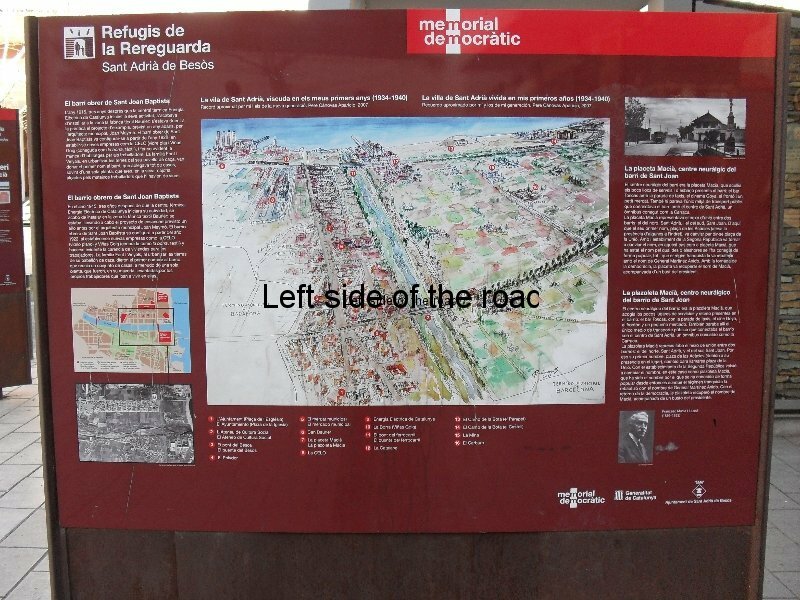 Situated in the working class district of Poble Sec it’s very close to Montjuic Hill. 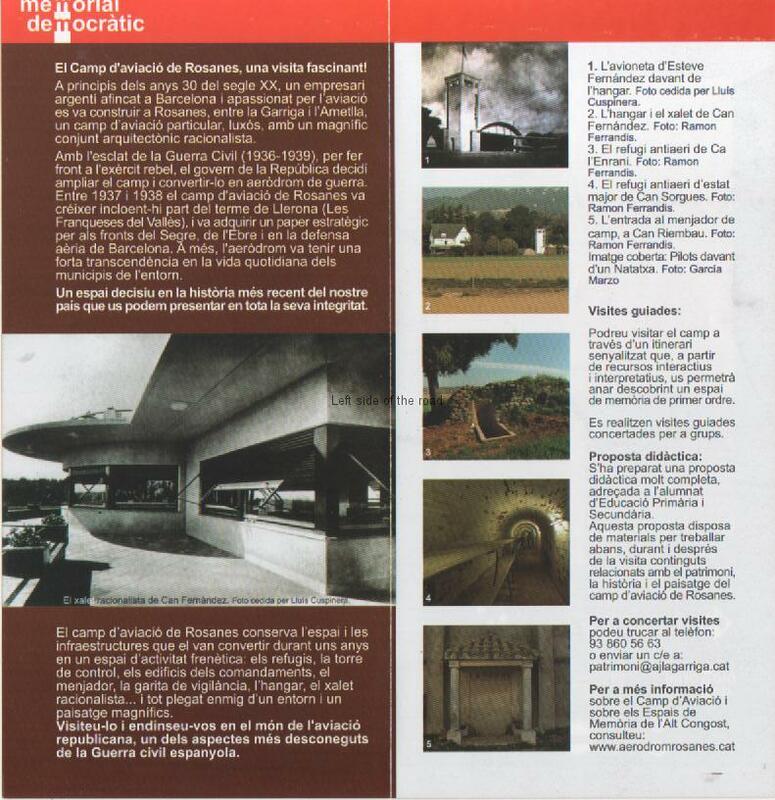 The opening of these places to the public throughout Catalonia was part of a project called Memorial Democràtic, started under a more left leaning regional government. 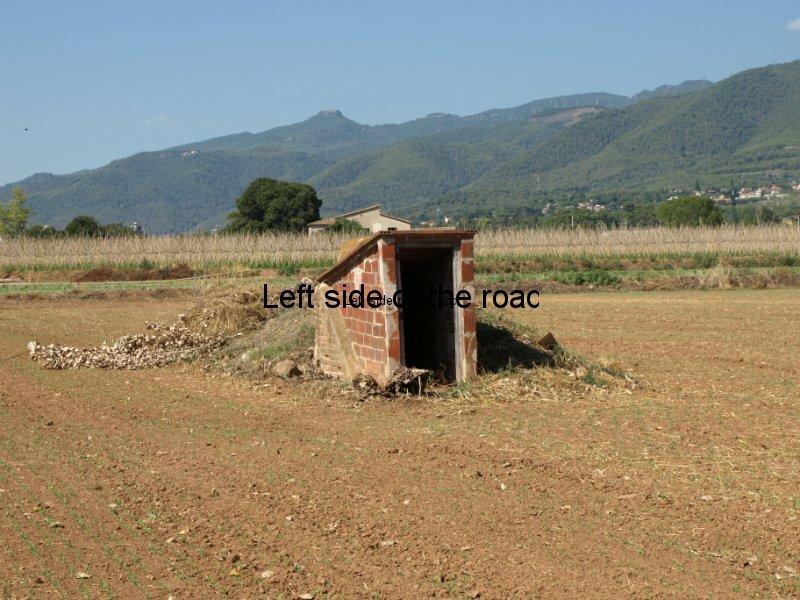 The right, who’ve regained control of Catalonia, have messed around with the organisation and I’ve found it impossible to discover exact details of the present state of affairs. 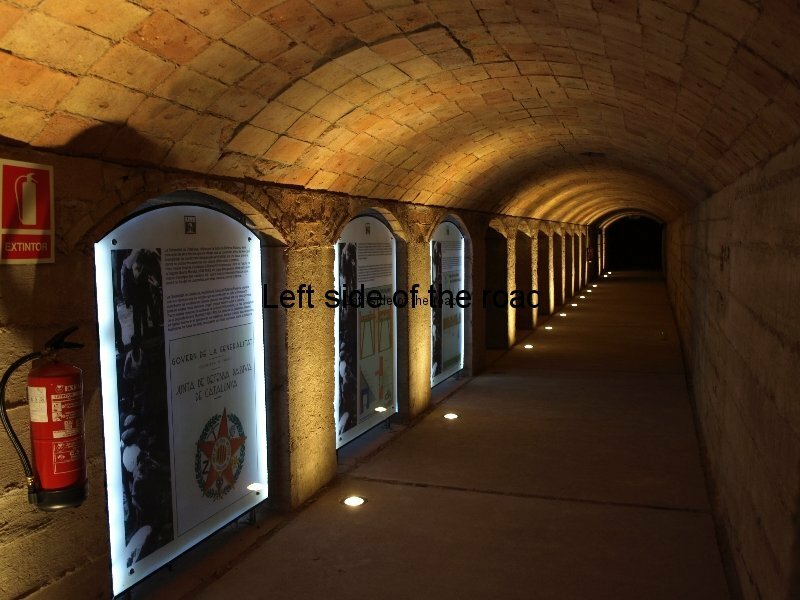 This shelter is now under the control of the Museu d’Història de Barcelona. The Spanish Civil War – even though we’re talking about an event which was almost 70 years ago – has still not found a resolution in Catalonia (or even in Spain). This is the reason, I believe, why Memorial Democràtic has become such a political football. Civil wars are more complicated than conventional wars as they tend to arise at times of potentially radical changes in society. The extreme nature of the hostilities that are an inevitable consequence of this situation means that fears, hatreds and animosities last much, much longer than the actual military hostilities. These are then passed on to future generations and just fester. Although the North Americans always claim the moral high ground when criticising more recent conflicts we only have to look at that country to see that many in the Confederate south have never accepted the victory of the Union – the preponderance of the rebel flag being the most obvious example of this. 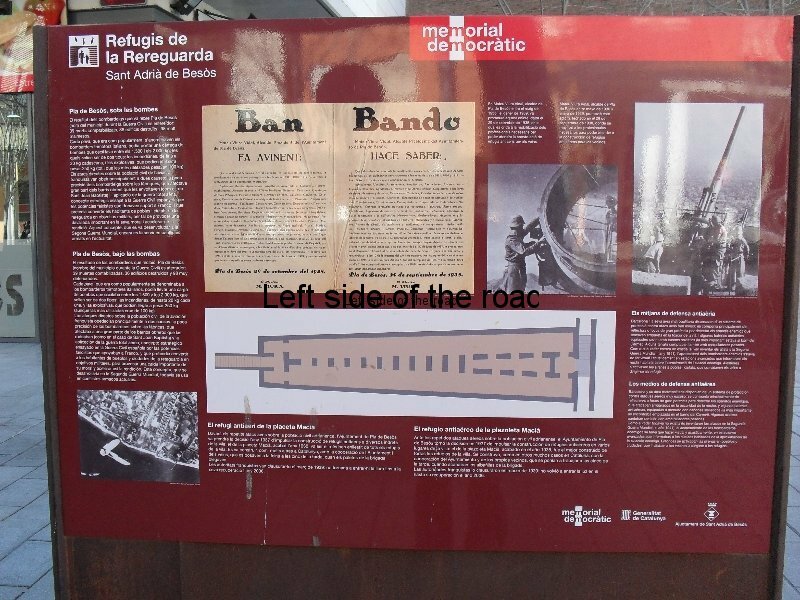 History still hasn’t condemned Franco for the murders committed well into the 1950s, such as the public executions in the Camp de la Bota. This was right by the sea but the location has been obliterated and is where the luxurious yachts are now parked in the Barcelona marina. Many families of those killed by the Fascists still won’t speak out even though Franco himself was put in the ground almost 40 years ago. 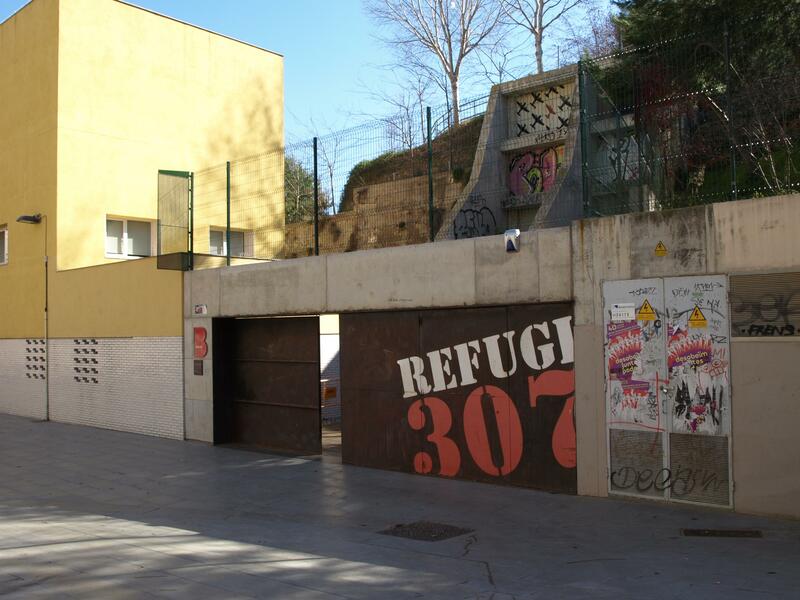 Bizarrely, at least to me, the family of the architect who designed Refugi 307 don’t want his name to appear in a public place, presumably as they fear reprisals from some unknown group of Franco admirers. 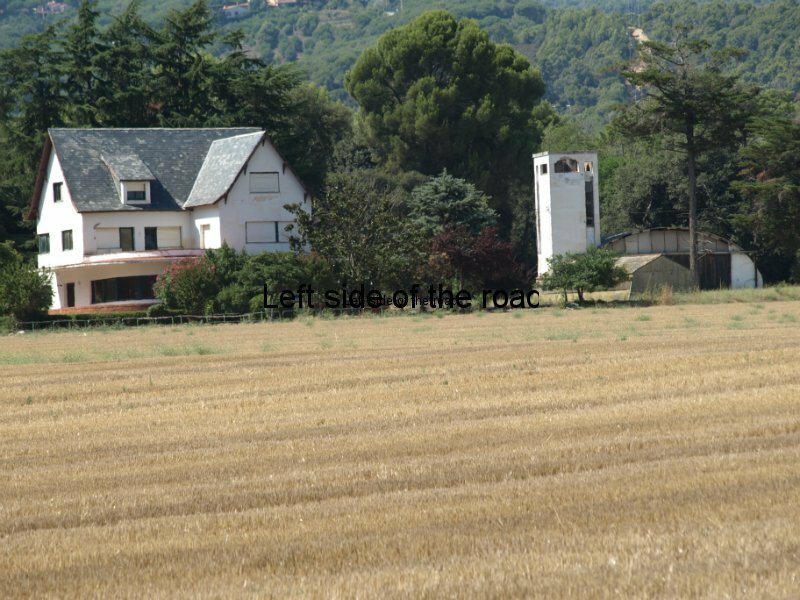 It’s long been accepted and understood that the Spanish Civil War was a proving ground for some of the military tactics that were to be used in what came to be known as the Second World War – more properly World War One – Part 2. 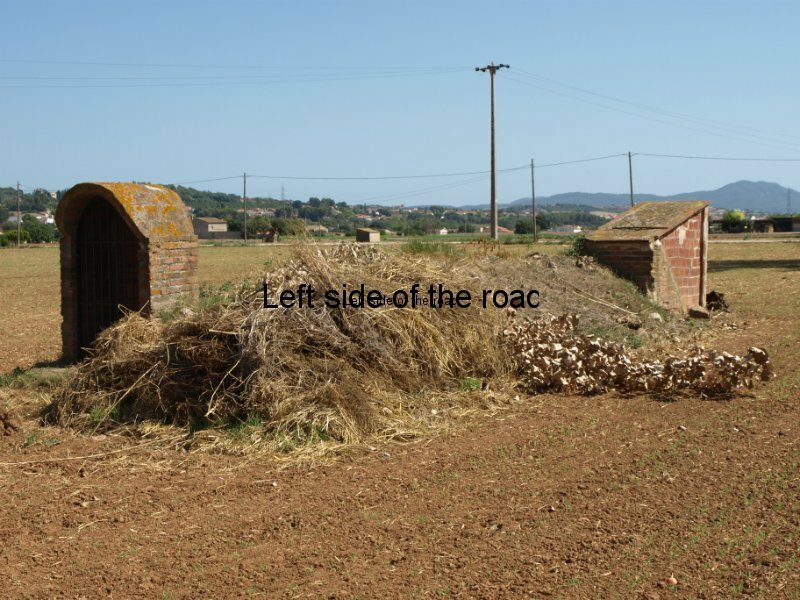 Blitzgrieg tactics would be used both at the front and on the civilian population. The idea of total war was born where anyone and anything on the opposing side was fair game, however far they might be from the actual fighting. These tactics of the Nazis were condemned by the British and the Americans as barbaric and many of those tried at Nuremburg were condemned for pursuing this course of action. However, the same tactics when followed by the so-called ‘Allies’, such as the bombing of Dresden when German control of the skies was lost, were not considered war crimes. On the contrary, Arthur ‘Bomber’ Harris, Commander-in-Chief of the RAF Bomber Command towards the end of WWII, was considered a hero, although the erection of a statue to his honour in 1992 was controversial. When it came to Vietnam B53’s dropping bombs from miles up in the sky onto Hanoi, F111’s destroying thousands of acres of jungle and agricultural land with their napalm bombs and Bell ‘Huey’ helicopters pouring millions of gallons of Agent Orange on to Vietnamese villagers was considered legitimate in the illegitimate war against a population that merely wanted the right to determine their own future, free from foreign interference. And let’s not get on to Afghanistan, Iraq and Libya where hundreds of thousands have died as a consequence of ‘collateral damage’. But back to Poble Sec. 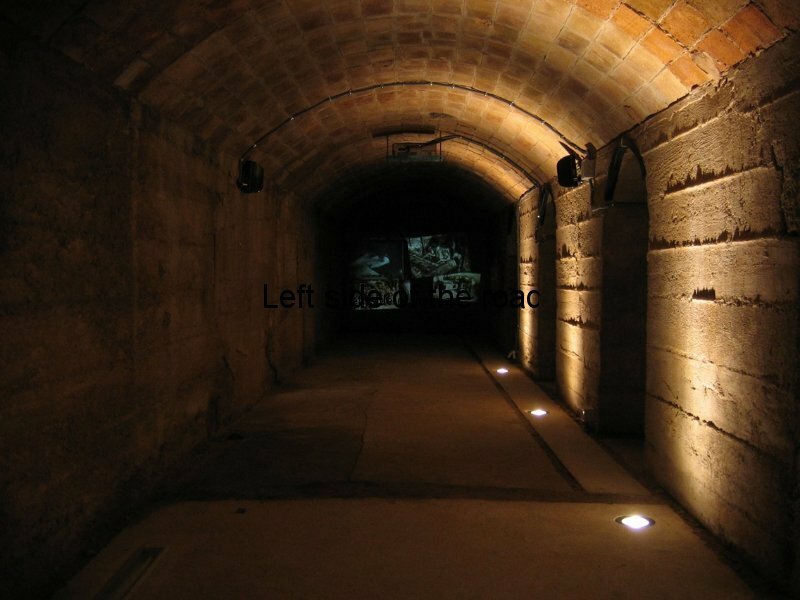 Refugi 307 is very different from the other air raid shelter it’s possible to visit in the Barcelona city area, the one in Plaça Macià in Sant Adrià – only a short Metro ride (Line 2) from the city centre. Throughout Barcelona many people would use the basements of the bigger shops and department stores, hotels or the basements of the grand house of the L’Eixample. 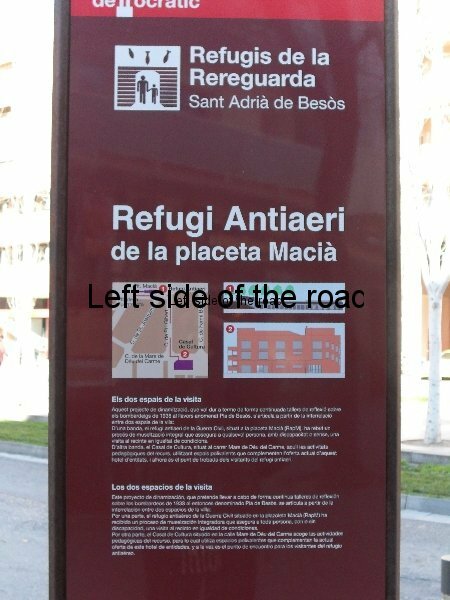 Poble Sec had none of these close by which meant other means of protection had to be found. 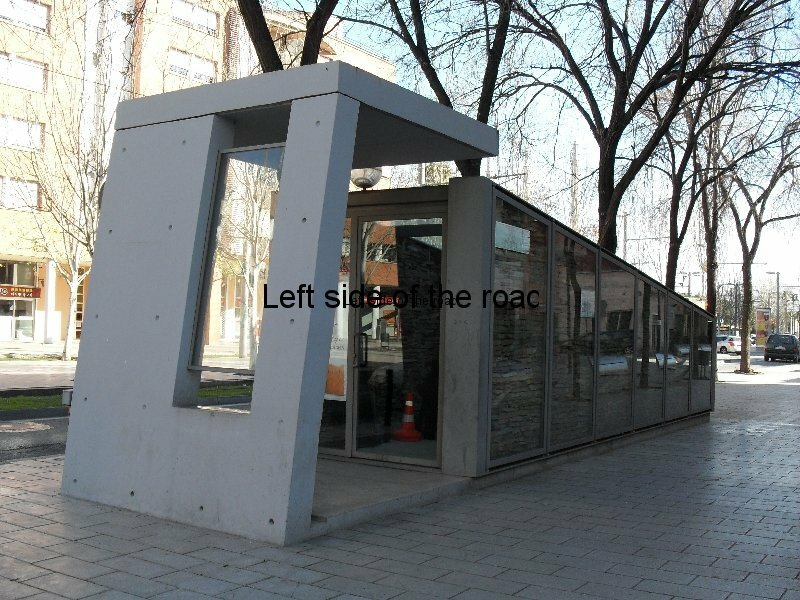 A couple of similar shelters were also built in the Gràcia district – at Plaça Diamant and Plaça Revolució. 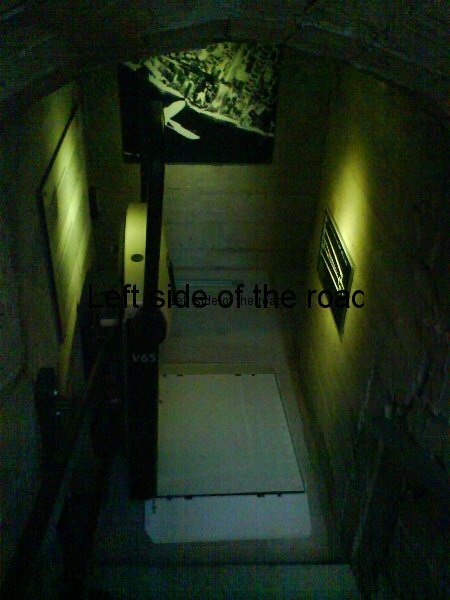 The air raid shelter below Montjuic is constructed in a manner similar to the galleries found in commercial mines, was started sometime in 1936 at the initiative of the local residents and was predominantly the work of old men, women and children – most of the young men of military age at the front – (why should there be an age limit or a gender separation of fighting for your freedom?) – and was still being extended when the war was lost by the legitimate Republican forces in 1939. 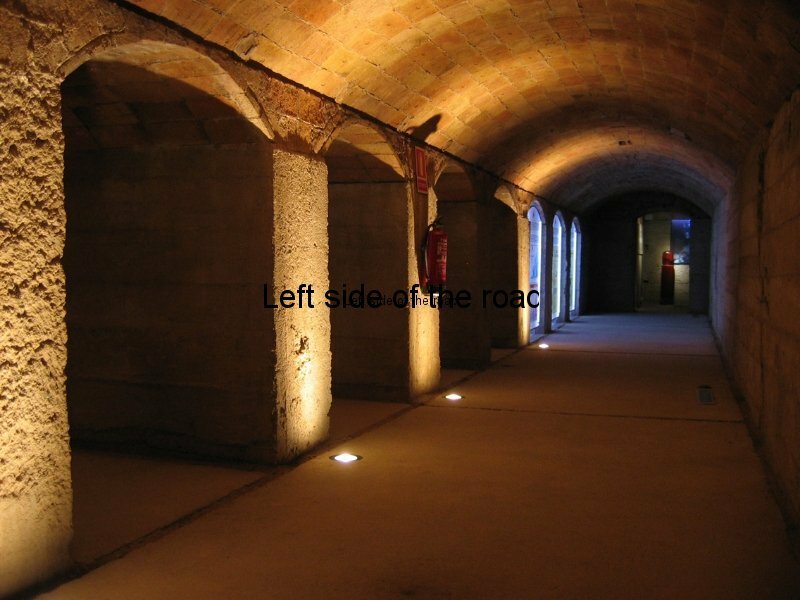 It was carved out of the relatively soft sandstone rock of Montjuic hill and then faced with brick. 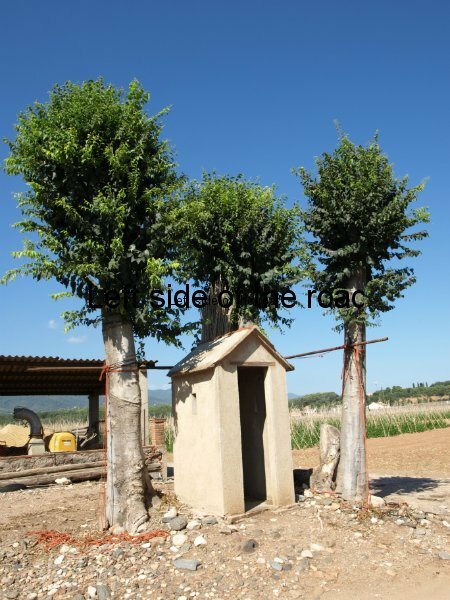 At one time there were three entrances, in actuality now there are two. 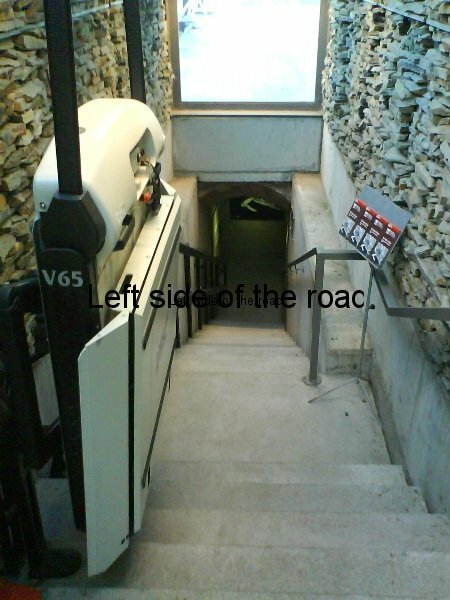 More than one entrance was necessary to avoid the risk of turning a shelter into a tomb in the event of a bomb blocking the one and only entrance. 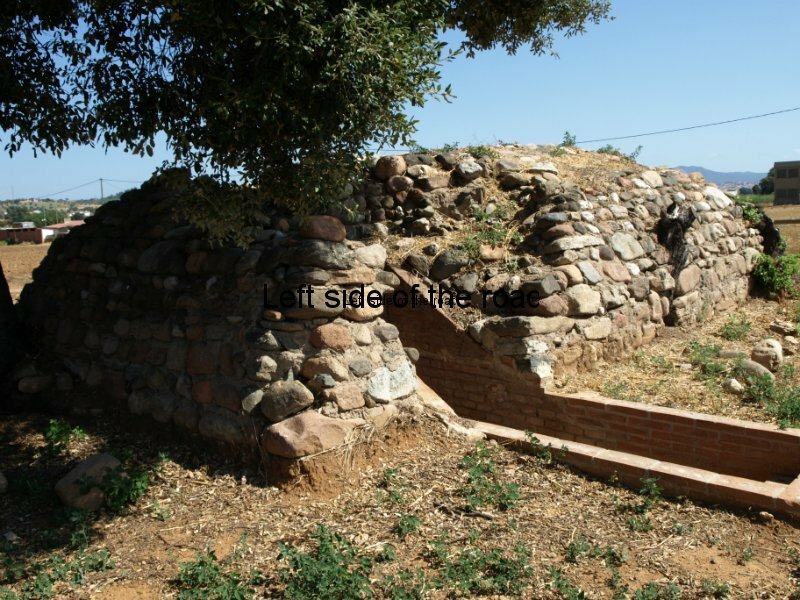 The shelter followed a similar pattern to others found throughout the Spanish peninsular. 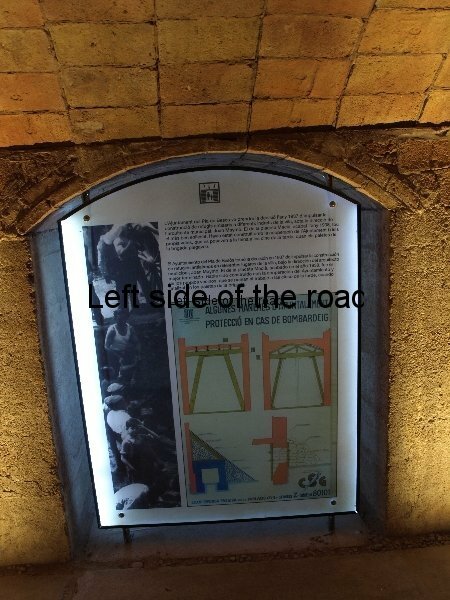 A zigzag design of the tunnels meant that blast shock waves couldn’t go deep into the shelter and there was always a 90 degree turn right by the entrance. 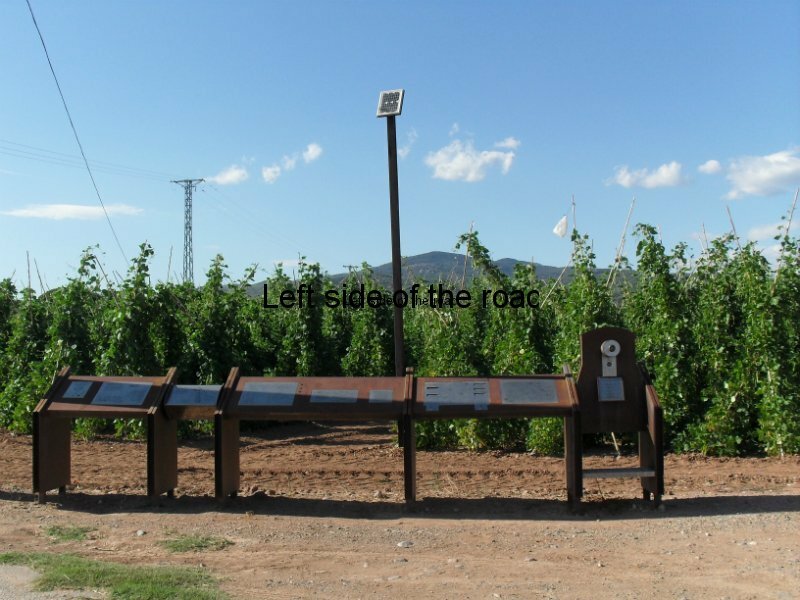 It had electric lighting, provided by batteries which could provide power for up to 2 hours, but no means of ventilation so would have become very hot if full. For that reason smoking was banned. 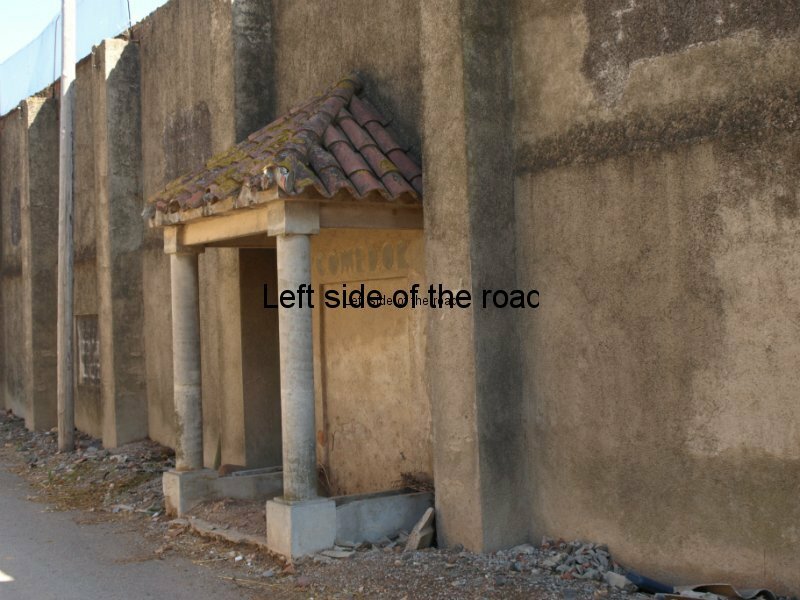 There were male and female toilets (each with its gender defining coloured tiles) constructed close to the principal entrance but as the shelter could take up to 2,000 people by the time of its greatest extent the queues must have been quite long at times. 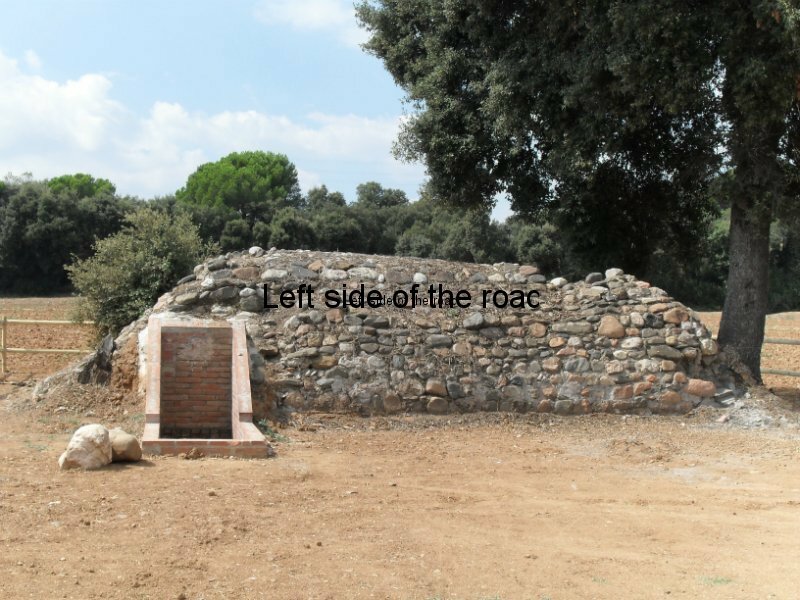 Running water was installed and during the later construction, deeper into the hill, a stream was struck so it was decided to dig a cistern to capture the water. There was also a small infirmary to deal with the small, but potentially serious, injuries of civilians under bombardment such as cuts, bruises and fractures. Anything more serious you would have had to take your chances. 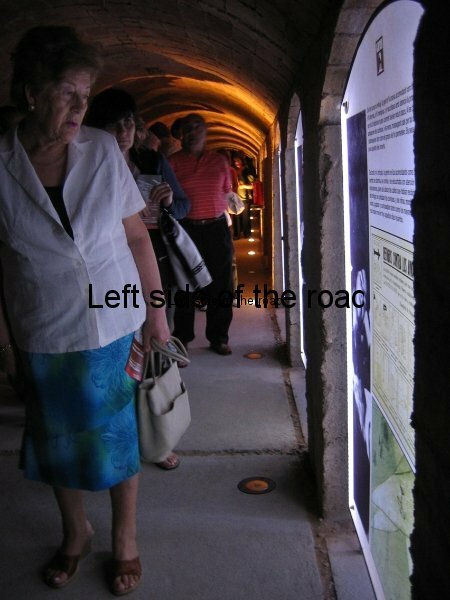 The smaller galleries off the main ones were provided with basic wooden benches as the time spent in the shelters was relatively short, unlike the situation, for example, of the Londoners during the Blitz. 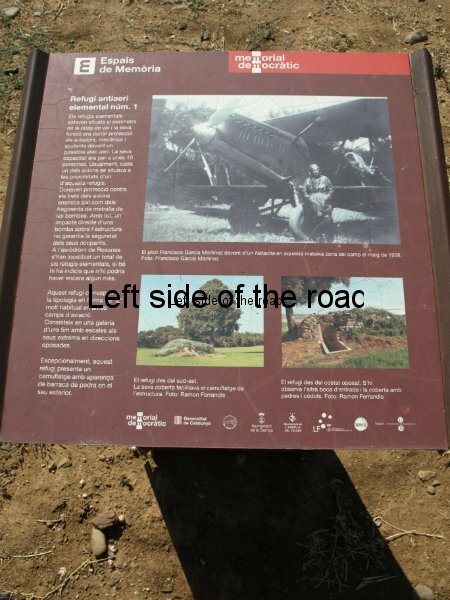 Barcelona was being bombarded by Italian planes that were based in Mallorca and the numbers of bombers available were not as great as they were a few years later over British cities and nothing like the Thousand Bomber Raids over Germany from 1942 onwards. 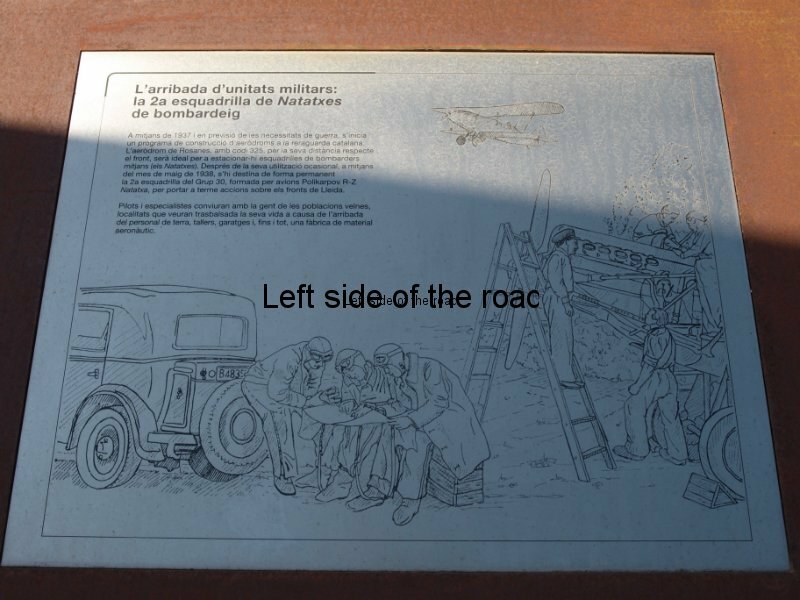 The bombers would arrive and then as quickly as possible get out over the Mediterranean away from hostile anti-aircraft fire. The logistics of the situation meant the raids were short and sharp. 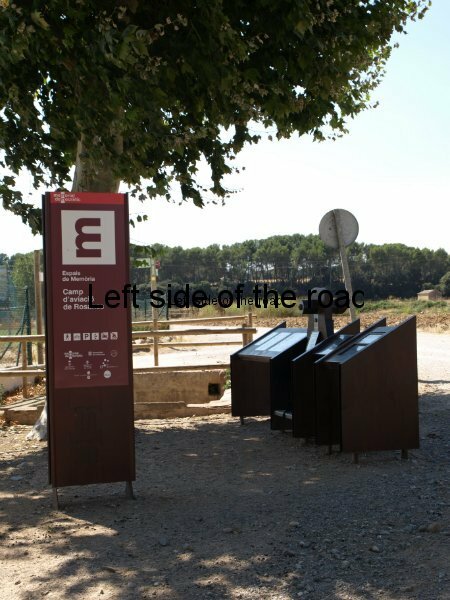 An anti-aircraft gun battery was located near the old castle on Montjuic and that might have accorded Poble Sec a bit of added protection. 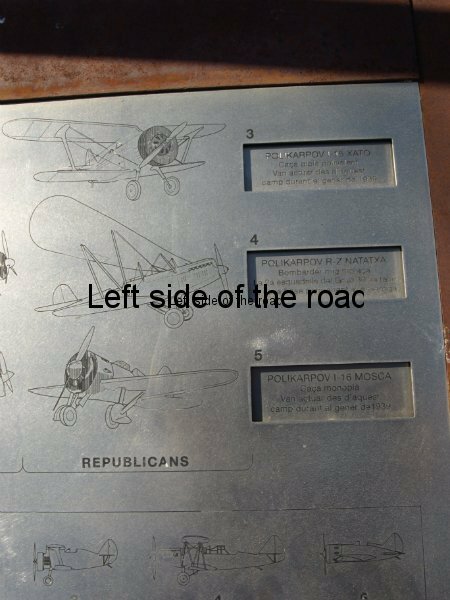 Seemingly the gunners were not seeking to shoot down the planes, just to put the fear of God up the airmen, as a bomber falling on the tightly packed streets of central Barcelona would have had a more devastating effects than a bomb falling. 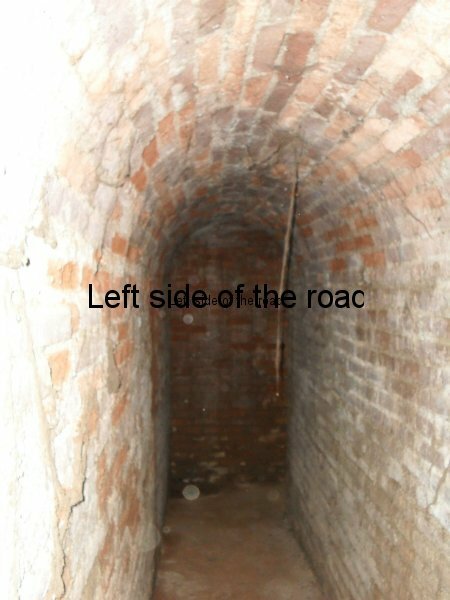 Being trapped in a tunnel underground isn’t to everyone’s liking and as time went on some people decided to face the consequences of the raids in their own homes rather than worry what was going to happen to those homes. However that might have been the case this shelter, and others like them, most certainly prevented the death toll amongst civilians from being much higher. 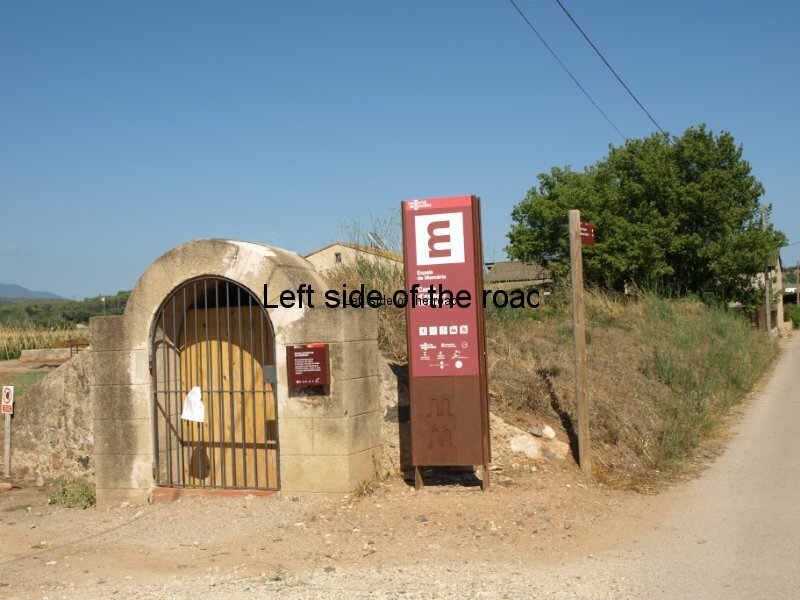 The story goes that British engineers came to visit this shelter (although this might be apocryphal as I’ve heard the same story at other shelters elsewhere in Catalonia) as they knew there was a great likelihood that British cities would face the same danger from the German Nazis in a future war. If that was the thinking in Britain at the time the question has to be asked: Why was it the British didn’t fight on the side of the legitimate Republican government? That’s a rhetorical question as the British establishment has not in the past, and doesn’t seem to at present, realise that once you let out the dogs of war they don’t always attack the ones you want and end up turning on their previous ‘masters’. Neither did the Spanish/Catalonian engineering experience seem to travel to Britain. I’m not aware of any such gallery shelters being built anywhere. Londoners had the Underground but the rest of the country had to rely on individual Anderson shelters in back gardens or basements in big buildings. 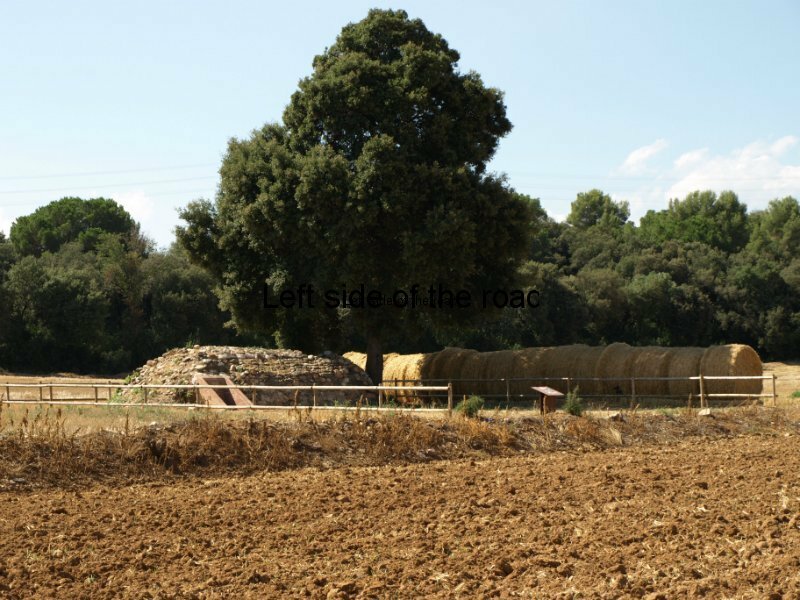 As I wrote that I thought: Why no community initiative to build their own shelters as there was in Spain? The life of the shelter as a shelter was relatively short. After the war a family took over the most recent area of construction for their house, with a quite ingenious system of getting rid of the smoke, as well as drawing the fire, for the oven. Later the tunnels were used for the cultivation of mushrooms. Now you can visit it. 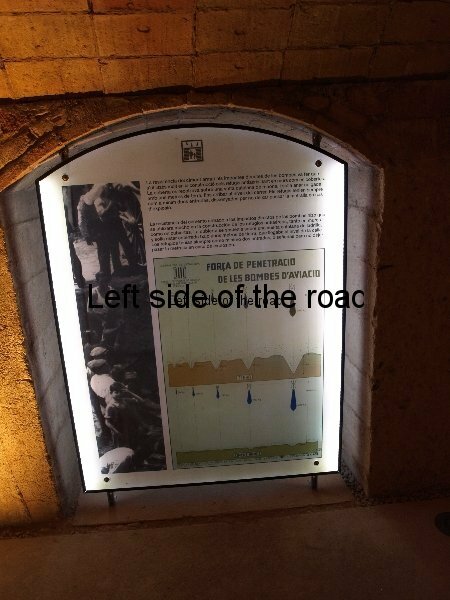 Although an understanding of Spanish/Catalan would be useful, for the details, a visit of the place would still be worth it to get a feeling of how Barcelonans survived the bombings. And afterwards, on returning to the centre of Barcelona, you could always call into Le Nou for a drink or a meal. Location: 177 Carrer Nou de la Rambla, just below Montjuic in the barrio of Poble Sec. Nearest Metro: Paral.lel on Lines 2 and 5. Tours in Catalan at 10.30 and 12.30, in Spanish at 11.30. It’s recommended you call the Museu d’Història de Barcelona on 93 256 21 22, Monday to Friday between 10.00 – 14.00 and 16.00 – 19.00, or make contact by email to reserve a place but if the groups are not full they will slot you in on the day. Organised groups can make arrangements for tours on other days of the week. The tour lasts between 45 minutes and an hour. 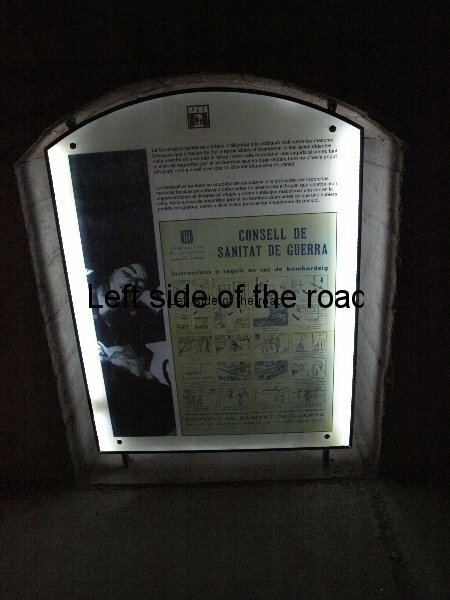 The air raid shelter (refugi antiaeri) in Placeta Macià, Sant Adrià de Besòs, Barcelona, provides an insight to what life was like for ordinary, working class, people during the Spanish Civil War, 1936-39. 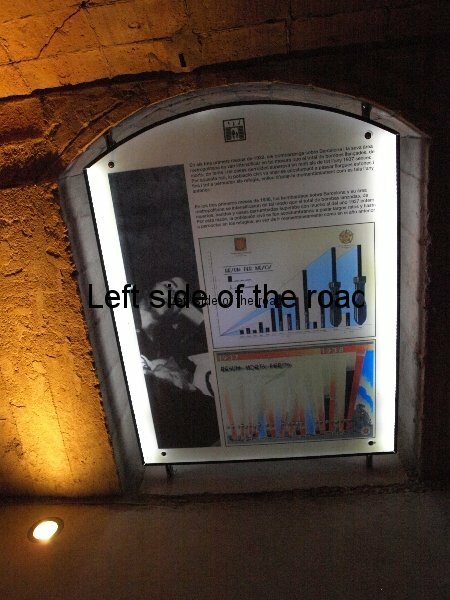 Many thousands of visitors go to Barcelona each year but an increasing number of them are starting to go off the beaten track of the Rambla and the Gaudi buildings to explore some of the lest ‘touristy’ aspects of the city. 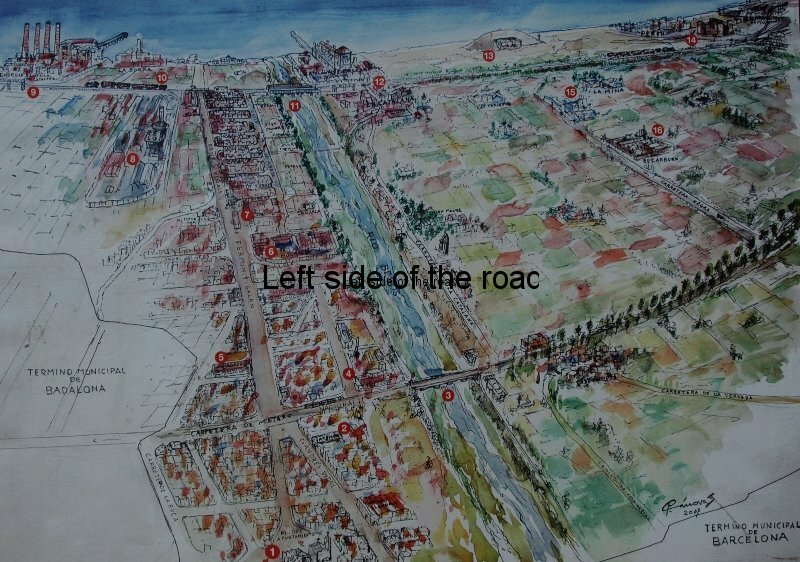 Of the hoards who walk down the bustling Rambla some might have read George Orwell’s depiction of the Spanish Civil War in his book Homage to Catalonia. Standing outside Café Moka they might imagine what it was like in the stand-off between two armies, on the same side, on the brink of their own ‘civil war’, occasionally taking pot shots at one another. 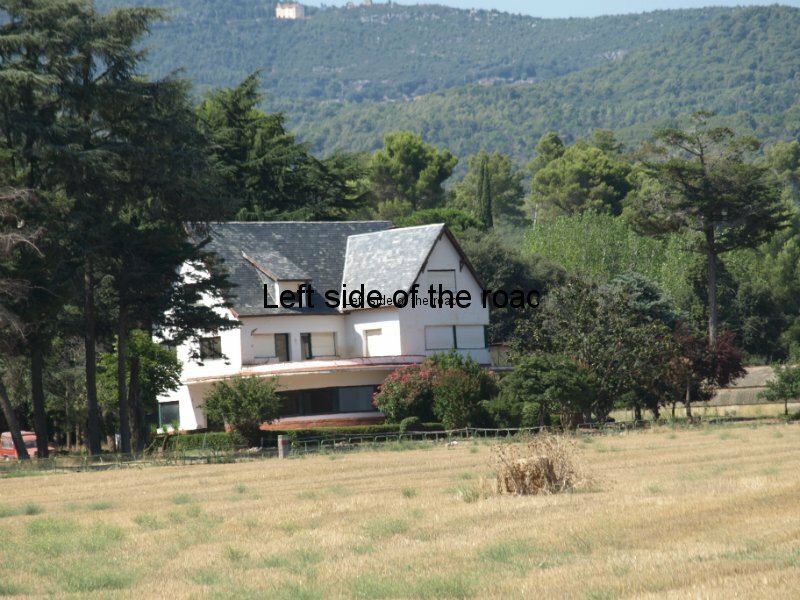 Orwell had the luxury, the wealth and the opportunity to get out of the country before Hitler and Mussolini’s aircraft, happily brought in on the side of the rebel Franco, started to regularly bombard this Republican city, using a strategy taken to an even higher level a few years later. That was the strategy of terrorising and punishing the civilian population with mass bombing and the destruction of their cities, as was seen in Warsaw, Liverpool and Leningrad, amongst many others. As in those other cities the people of Barcelona didn’t just sit and wait for what was to rain down on them. 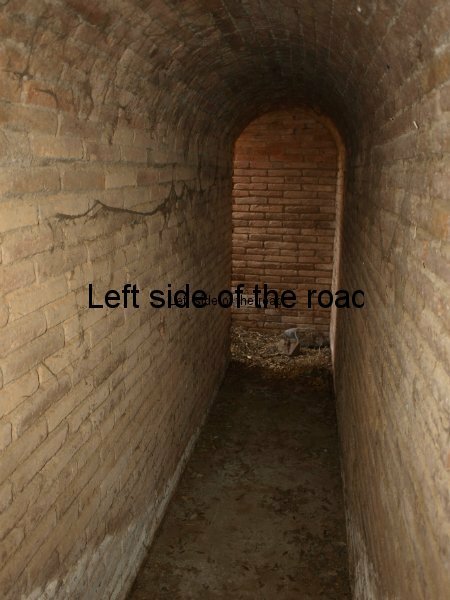 If they could not fight at the front then they would construct shelters to protect themselves from the bombs and deny the enemy the satisfaction of their acquiescence and defeat. 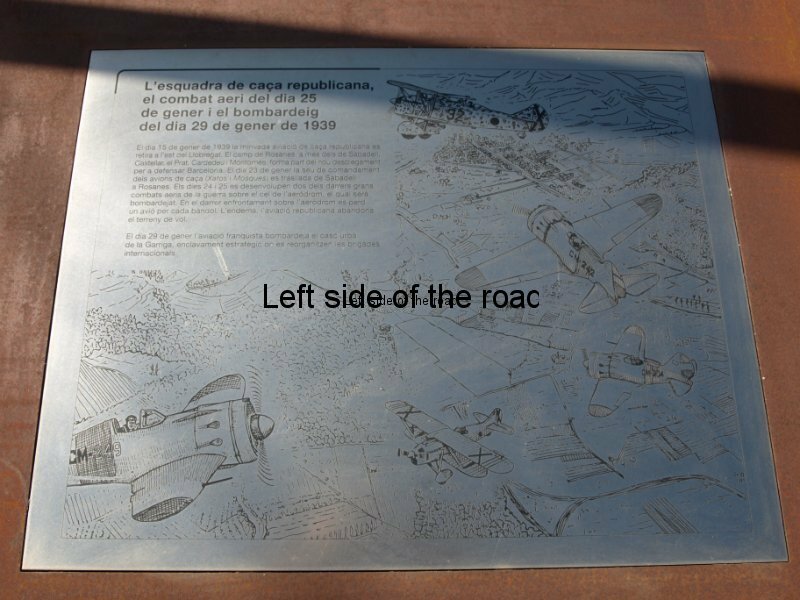 This form of passive resistance was evident in Barcelona and many other Catalan towns and cities. 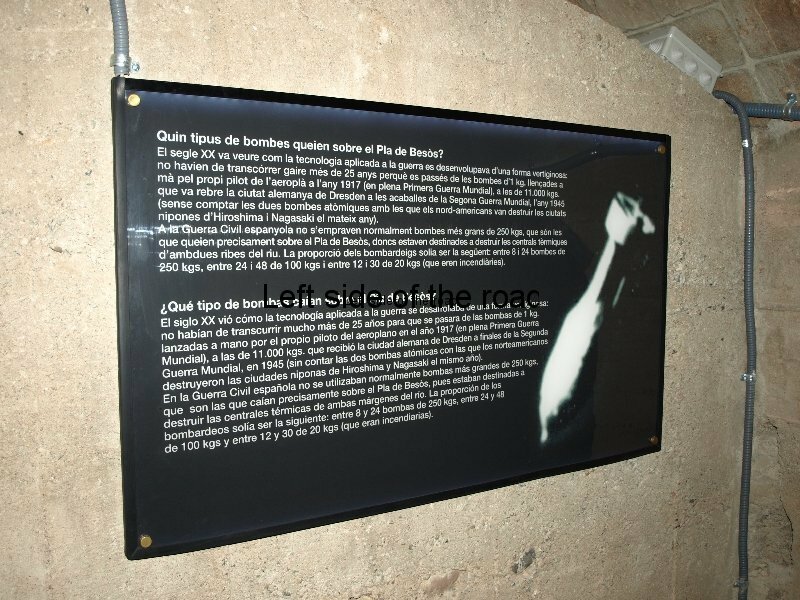 In the intervening years, since the end of the war in 1939, many of these air raid shelters have been bulldozed both to eliminate any popular memory of resistance and then later as the country started to develop and modernise after Franco’s death in 1975. 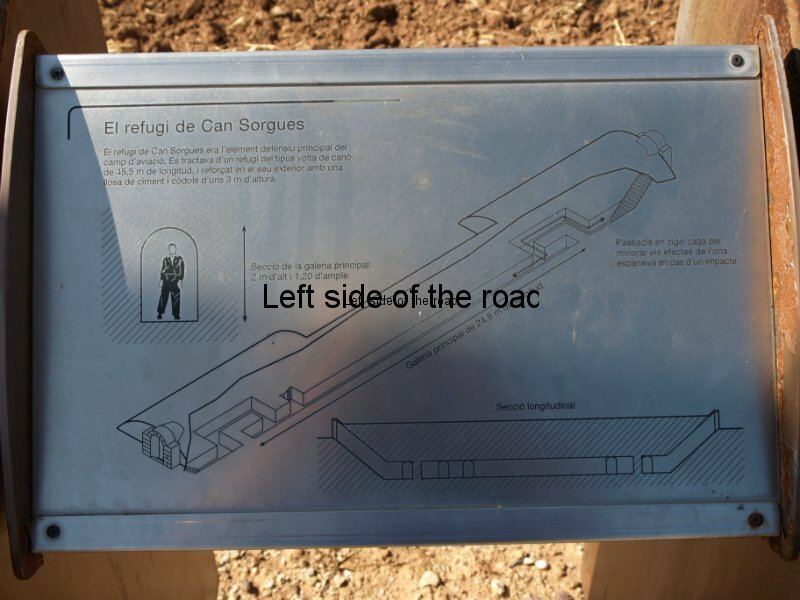 However, since 2007, following a decision of the Generalitat (the Catalan government), much of what does remain is coming to light and is being made accessible to both local people and any visitors with an interest in an important and significant struggle in the middle years of the 20th century. 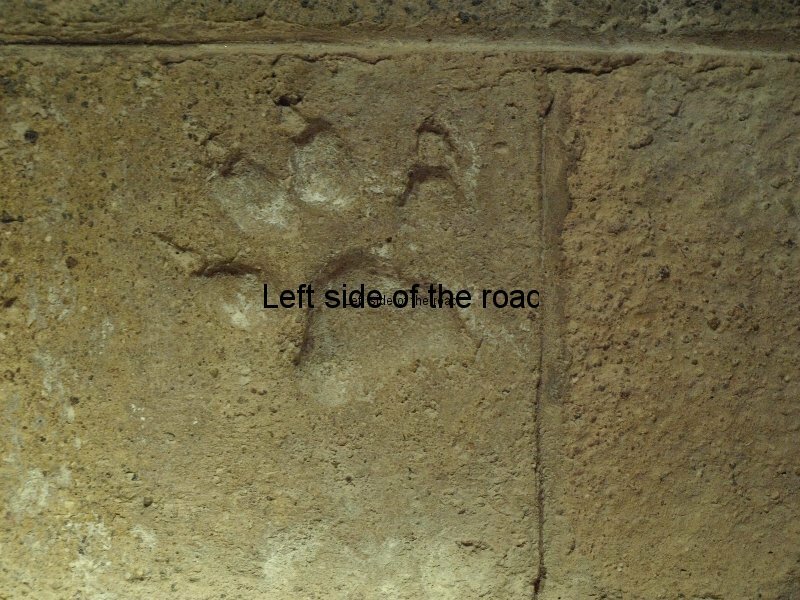 Those facets of war that might have been hidden are now being visited by an increasing number of people. In their visits they are offered the opportunity to consider the war in a different way from that presented on the big screen. This representation has evolved over the years from the morale boosting antics of Errol Flynn through the gung-ho approach of John Wayne to the more poignant aspect of war as depicted in Saving Private Ryan. 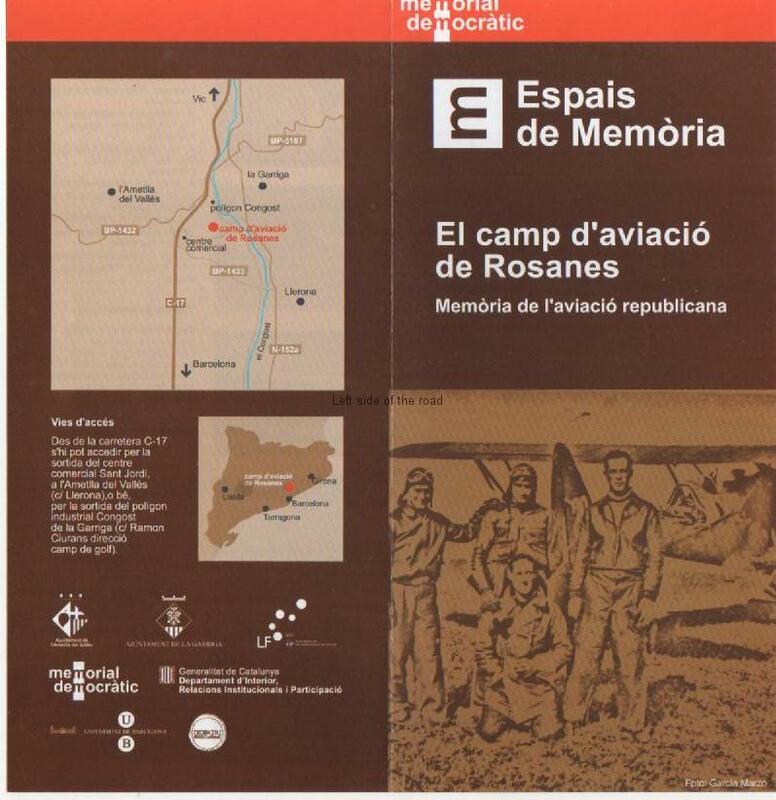 In Catalonia this unveiling of the past is part of a much bigger project, the first in Spain but part of a much wider, in fact worldwide, scheme called Democratic Memory. 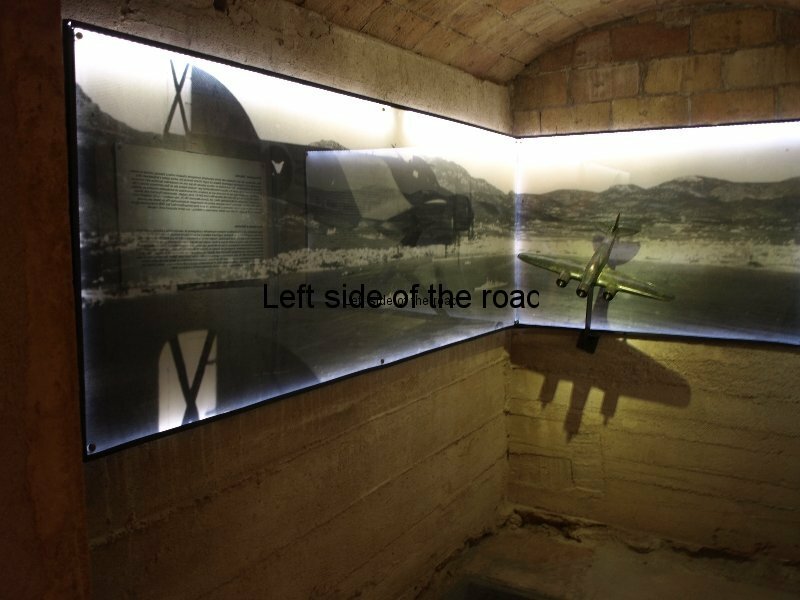 Of the more than 70 sites already on the list in Catalonia here I just want to talk about one of them, located in the working class district of Sant Adrià de Besòs, (easily reached via Metro L2 from the central cultural highlights of Barcelona), the air raid shelter in Placeta Macià. This is an impressive construction in its own right, especially taking into consideration the conditions under which it was built, and is the only one of the seven that originally existed in the district to have survived into the 21st century. 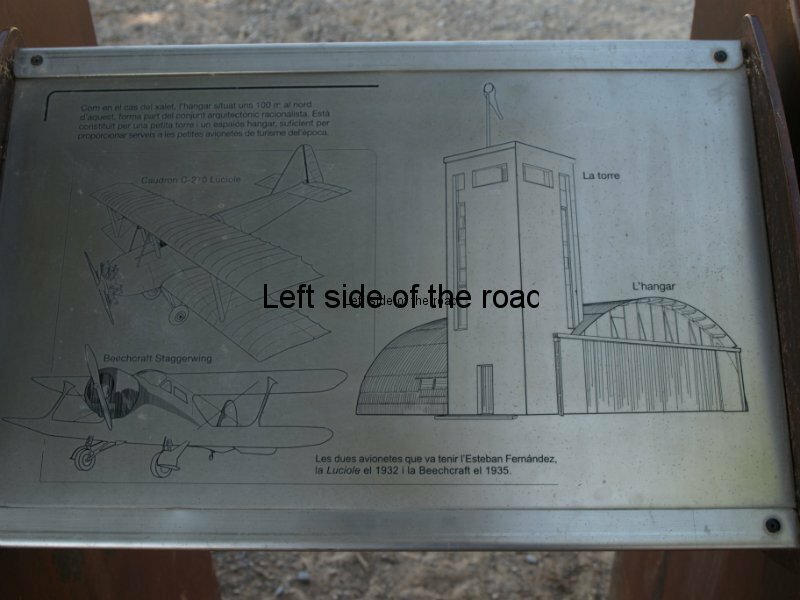 Constructed in the shape of a rhomboid it has a central corridor with alcoves on either side and was built, in 1938, to provide shelter for up to 500 local people. 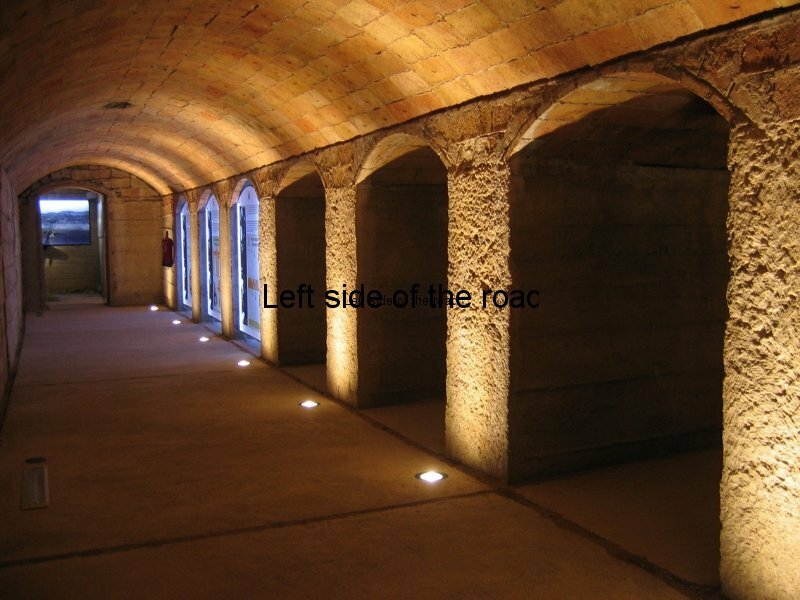 Although it is underground the aim of the cleaning and restoration has been to make it as accessible as possible. First, it is free to enter. 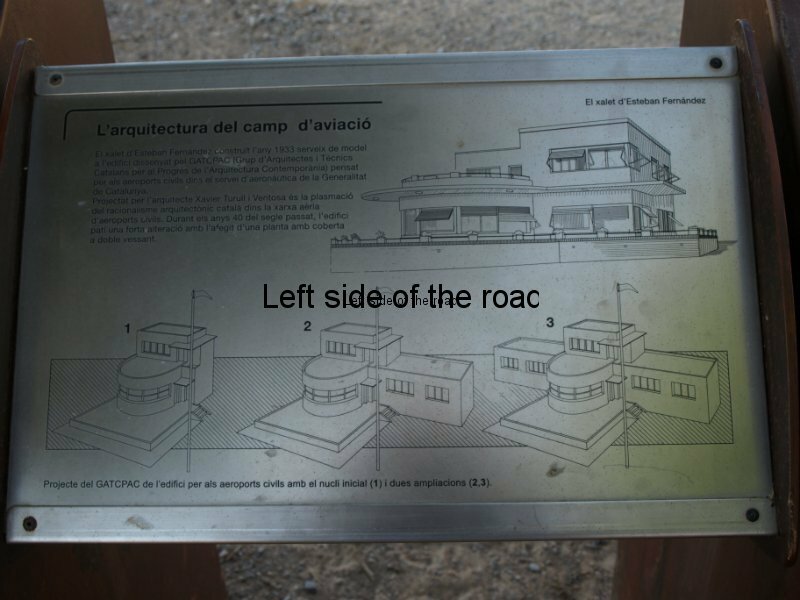 ‘Why should those who built it, and their children and grandchildren, now be charged to visit it – 70 years after its construction,’ says Jordi Vilalta, the enthusiastic coordinator for the shelter. 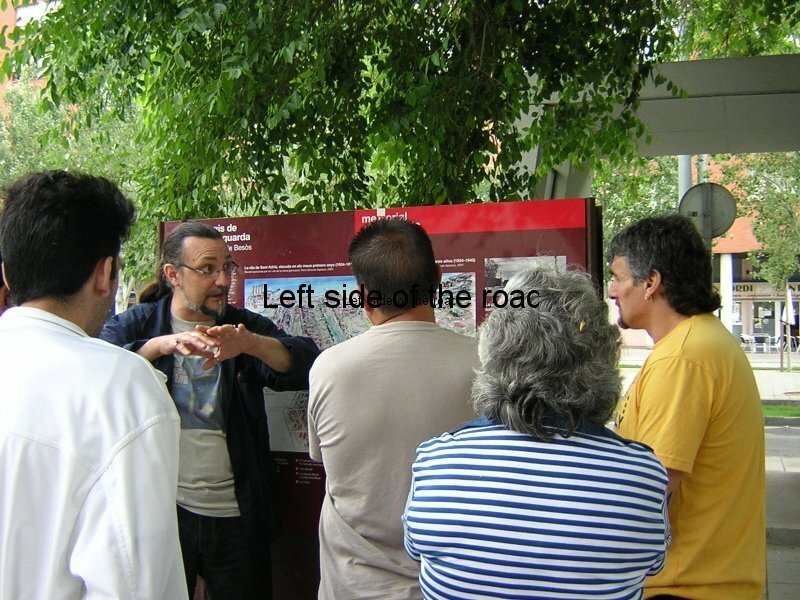 He is based in the Museu d’Història de la Immagració de Catalunya (itself one of the 71 sites) which is situated a short distance away on the opposite side of the River Besòs. 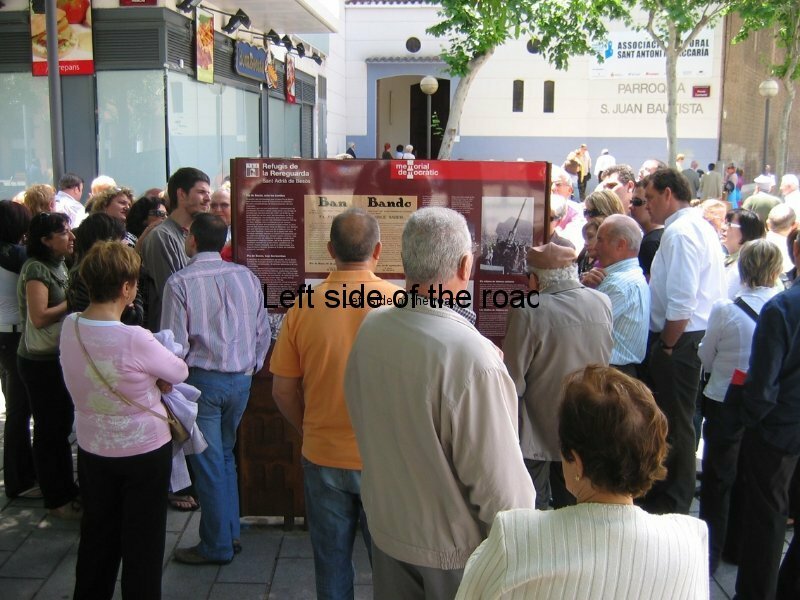 One of the aims of the project is to involve children in a conversation with the past of their families and so school visits are organised where those who were themselves school children in 1938 tell of their memories, experiences, fears and daily life in general during the relatively short, but incredibly intense, life of the shelter. 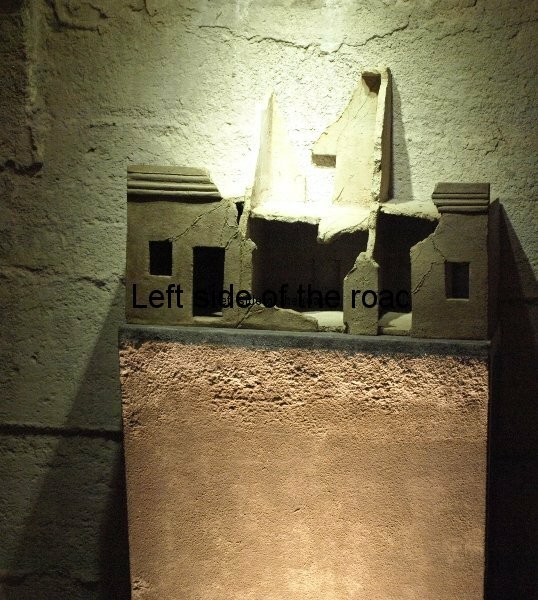 To encourage the involvement of the young in this small and intimate museum the visitors are encouraged to touch the exhibits and to try to understand the idea of destruction but without any images of death. 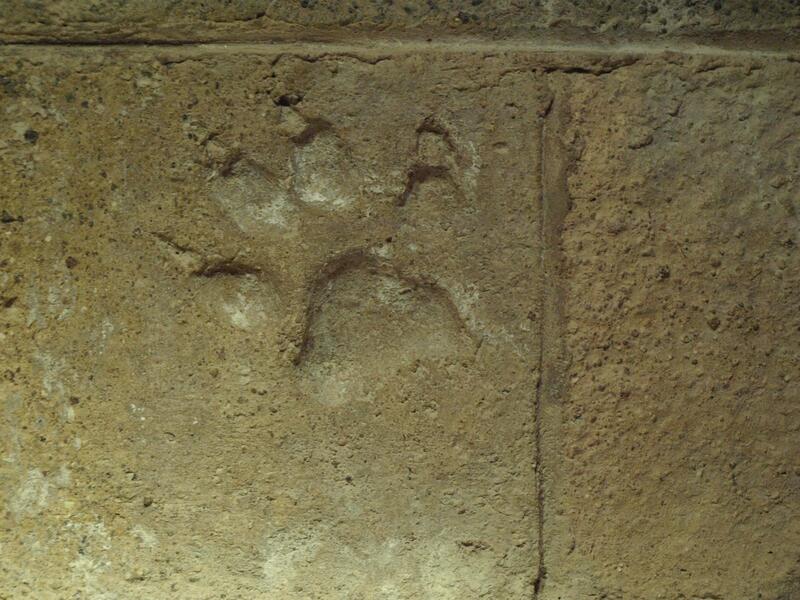 A particularly interesting story is that of the dogs that acted as virtual air raid wardens for the population. They would be able to hear the drone of the bombers coming over the sea, from the Balearic island of Mallorca, long before humans. As Pavlov suggested the dogs associated this noise with the inexplicable (to them) consequence of explosions, fire, noise, strange smells and potential death that comes with aerial bombardment. 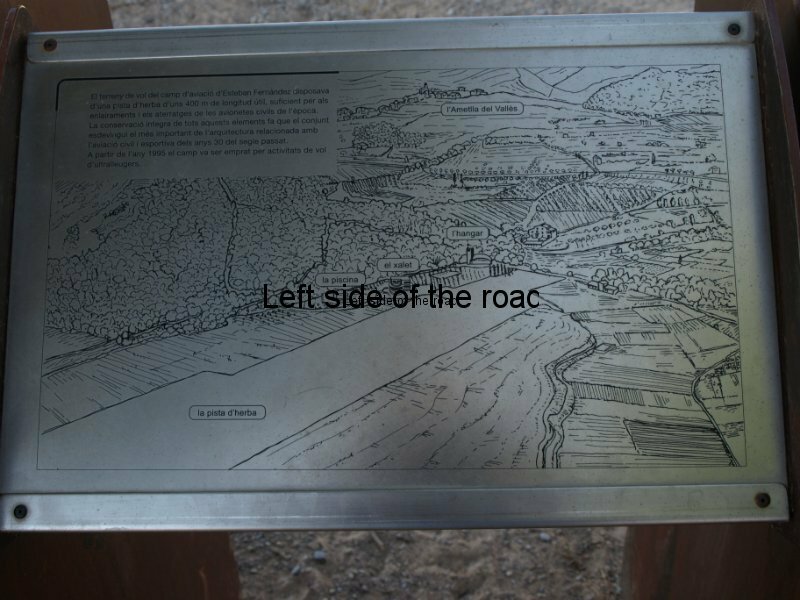 The people of Sant Adrià suffered on two accounts. 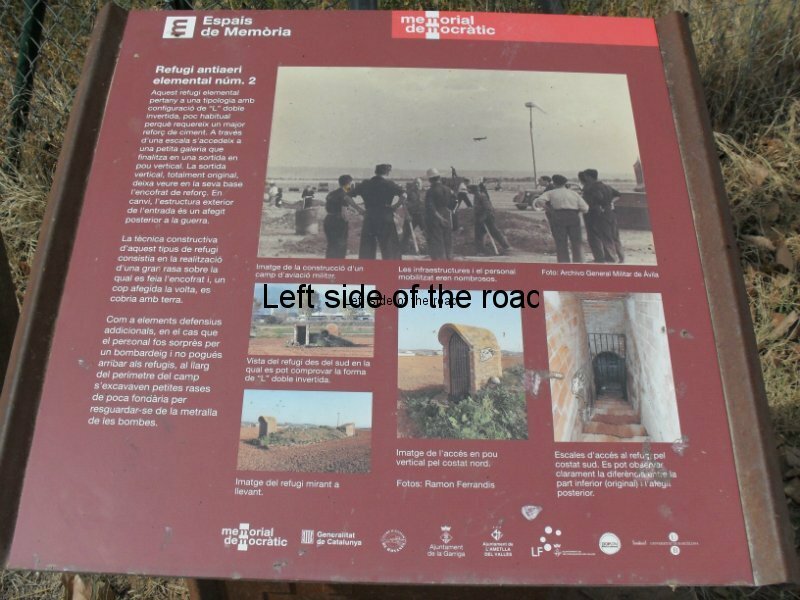 Theirs was an industrial area, and so a ‘legitimate’ target in times of war, but they were also implacable adversaries of the fascists and so had to be terrorised. Visiting the shelter: Open the last Sunday of each month, though Jordi can be contacted, via email jvilalta.pmi@gmail.com or on +34 609 033 867, to arrange visits at other times.